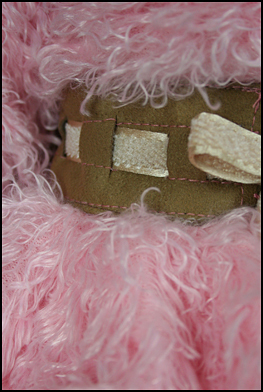 The coat of this outfit is faux fur with an ultra suede waistline tied with ribbon. The fabric is very silky and soft. The collar and lower sleeve is cashmere wool. The leggings are stretch cotton blend. 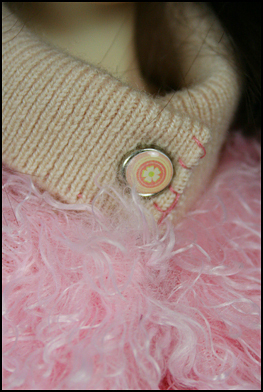 The hat is wool felt trimmed with faux fur and a crocheted flower. Includes: Coat, hat and leggings.